Hard Drive Stopped Working? Can’t Access Your Files? Need Data Recovery? Data Clinic Ltd are the UK’s leading experts in data recovery and hard drive repair, recovering the data from broken and damaged hard disk drives since 2002. We provide data recovery and hard drive recovery services for individuals, businesses, schools & colleges, universities, authors, photographers, supermodels, celebrities, rock stars, movie stars, premiership football clubs, international rugby teams, and several members of the Royal family. 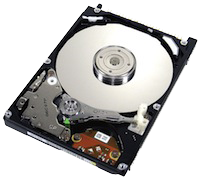 If you’ve got a broken hard drive or have a situation where you can no longer access your data, we are able to locate the problem, repair the hard drive and recover its files and folders for you. Question: Why do all these people use our data recovery services ? The answer is simple: Because we successfully recover data from practically ANY type of hard drive failure. Data Clinic are the only UK data recovery company with a dedicated specialist RAID recovery team, available nationwide 247. As experts in all levels of RAID, we have over 12 years experience in recovering critical data as quickly and safely as possible. Have you lost access to the data on your hard drive? Whether you have a Mac or a PC, a laptop, notebook or desktop machine, or store your data on an portable external USB hard drive, we’ll diagnose the hard drive fault and recover your data from practically every data loss situation you can think of. For more details visit our Hard Drive Recovery section where we’ll walk you through the problem first so you’ll have a better idea of what’s wrong. Modern day mobile devices such as smartphones and tablets hold huge amounts of valuable data and Data Clinic are specialists at recovering it from nearly every situation. Experts in Apple, Samsung, Sony, and HTC devices, and iOS and Android mobile operating systems, click for further details about our Mobile Phone and Tablet Recovery services. Some of our customers since 2002..
In-Lab or On-Site the recovery services plus a variety of turnaround times to suit you.